Most biomolecules are suggested to be neither conductors nor insulators, but to be at the critical transition point between these states. In this respect, they are seen as being a special type of quantum-critical material. Molecules involved in biochemical activity are seen to be tuned to this critical point. This finding relates to the behaviour of electrons in large biomolecules, at the transition point between conduction and insulation. Evolution is seen to have selected only a tiny proportion of the possible small biomolecules, and an even smaller proportion of the possible proteins for use in organisms; this selection appears to have been determined by the proximity of the selected biomolecules to the critical quantum point between localisation and delocalisation. The authors take the view that the chances of finding a single amino-acid tuned exactly to the conductor-insulator transition are astronomically small, so for a protein composed to more than 100 amino-acids such tuning can be regarded as impossible. Most biomolecules turn out to be tuned exactly to the transition point as critical conductors. The form of conductance found in organisms appears to be very different from that found in other electrical circuits. In a non-organic electrical field electrons are accelerated, but some of their energy is dissipated by scattering on impurities. However, this type of process is seldom seen in organic material. In organisms there is a joint influence from the Hamiltonian or total energy of the system and from decoherence caused by the environment. 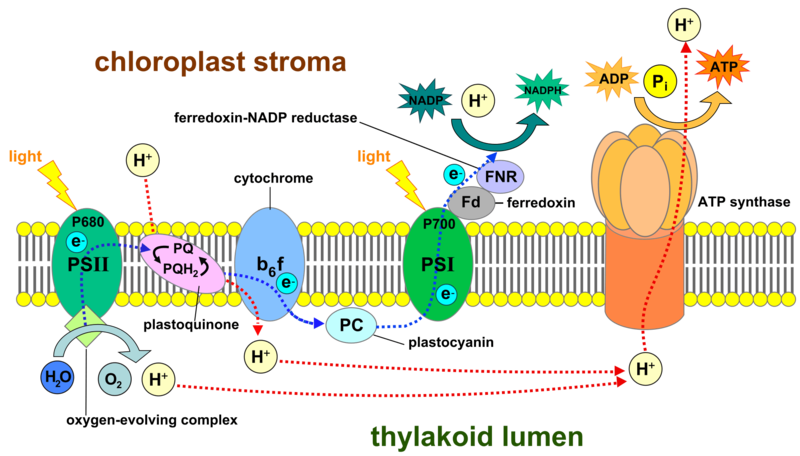 Such a system has been demonstrated for the excitons of photosynthetic light-harvesting systems that allow the very efficient transfer of energy. It is now thought that such processes may be universal in organic systems, with charges in all biological conductors also subject to this type of system. The transfer of energy has been seen to be most effective at the critical quantum point between localisation and delocalisation. The excitonic systems of light-harvesting systems are at or near this critical point. Energy transport appears to be hindered by localisation, and also by the decoherence of coherent systems, but at the critical point between the two stages energy transport is facilitated. This could be seen as a solution to the puzzle of how energy in organisms is sufficient to achieve what it does, given the energy losses that occur in other systems, such as even a simple electrical circuit.